WHAT: The Illinois Innocence Project, based at the University of Illinois Springfield, will explore life after exoneration with special guest Julie Rea. After spending six years in prison, Rea’s murder conviction was overturned with the help of the Illinois Innocence Project. WHEN: Monday, November 12, 2012 at 6 p.m. DETAILS: On October 13, 1997, Julie Rea’s 10-year old son, Joel, was brutally stabbed to death in the middle of the night by an intruder. The crime shocked the small town of Lawrenceville, Illinois. Rea, a Ph.D. student at the University of Indiana, became the sole focus of the police investigation. She was convicted of the crime in March 2002 and sentenced to 65 years in prison. On Oct. 24, 2003, the Illinois Innocence Project presented compelling evidence to the Illinois Prisoner Review Board regarding Texas serial killer Tommy Lynn Sells confession to Joel’s murder. On June 24, 2004, an Illinois appellate court vacated Rea's conviction and ordered her immediate release. As she was set to take her first step out of prison, prosecutors re-arrested Julie, ignoring overwhelming evidence that she was innocent. 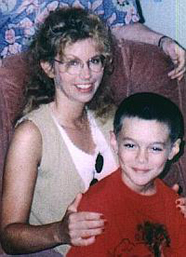 However, on July 26, 2006, a jury in Carlyle found Rea not guilty of killing her son, finally setting her free. Rea will discuss how she coped with her child’s death, years of incarceration, loss of education, career and family life. This Illinois Innocence Project event is free and open to the public. For more information, contact Mandy Altman at 217/206-6569. For more on the project, visit their website at www.uis.edu/innocenceproject/.